ESSENTIAL QUESTIONS: Why did the Articles of Confederation fail? Read: Wilson 15th, Chapter 2 pp. 32-45, Federalist 10 and Federalist 51. Bring: Electronic Device for Revisions and Textbook tomorrow! ESSENTIAL QUESTION: What were the foundations for future American political parties? Answers must be In Your Own Words. This is a 3 point (FA) which WILL be checked Monday during the GRQ Quiz. Bring: Electronic Device for Chapter GRQs! ESSENTIAL QUESTION: Where is Sovereignty located in the American political system? Consider: How does Governor Romney's speech fit with the Founders' views on Federalism? Would he have been considered a Federalist or an Anti-Federalist? ESSENTIAL QUESTION: What is the balance of power and responsibility between National, State, and Local governments according to the US Constitution? ESSENTIAL QUESTION: How has our interpretation of Federalism changed over time? Be prepared to answer a short quiz based on the questions listed below during the video, and discuss your answers. · What issue did the Mayor of New Orleans have with the state and federal governments? · What was the local government’s (city of New Orleans) responsibility in dealing with this natural disaster? 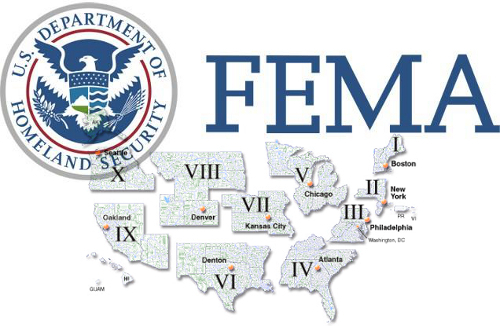 · How do the events of the natural disaster (pre and post event) describe the concept of federalism? This MUST be turned in before the end of class today—any late assignment will be penalized 1 point. Answer the assigned questions on the worksheet in complete sentences. This MUST be turned in within 24 hours of your absence--any assignment turned in late will receive 50%. ESSENTIAL QUESTION: What is the “best” balance of power and responsibility between the Federal government and state governments? Answers must be In Your Own Words. This MUST be turned in BEFORE the end of class today--any assignment turned in late will be penalized 1 point. Review Unit 1 and 2: Use online chapter notes, GRQs, and Textbook site practice section quizzes. ALL UNIT 2 FORMATIVE REASSESSMENTS ARE DUE; NO MORE REASSESSMENTS FROM UNIT 2 WILL BE ACCEPTED. This test will consist of 45 multiple choice questions in 35 minutes (summative), and one 10 minute FRQ (formative) from the material and concepts in Units 1 and 2. ALL rewrites MUST be completed by ONE WEEK from the date the original essay grade is posted, NOT one week from the date YOU discover the grade. Homework: Bring Electronic Device Tuesday for Article I GRQs!